This past weekend marked the return of Netflix’s popular original series, House of Cards for a third season. 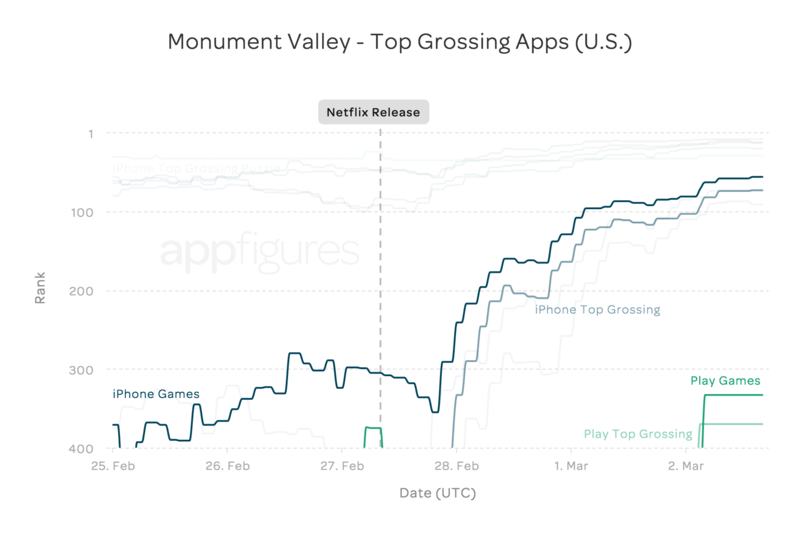 Having previously established the main character’s interest in video games, the newly appointed President turns to the popular app, Monument Valley to decompress. Note: The grey lines indicate subcategories for reference. 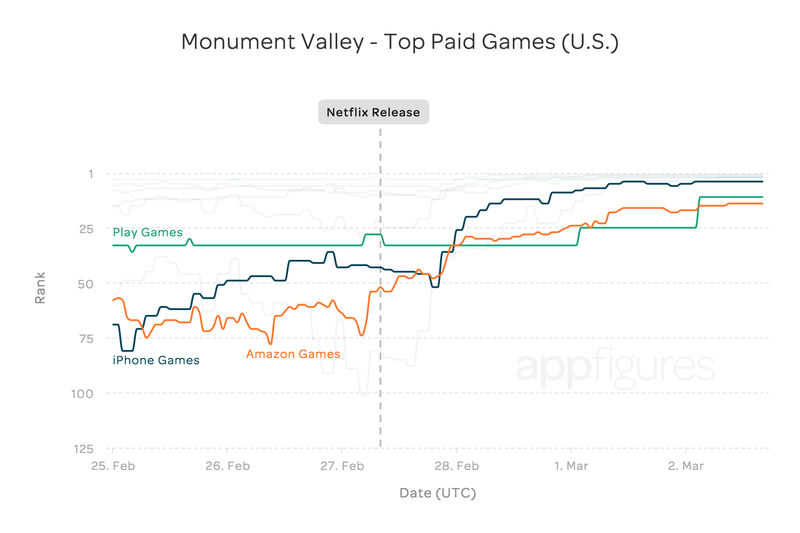 Unlike most popular games with freemium models, Monument Valley is currently a paid app priced at $3.99, with an additional extension as an in-app purchase available for $1.99. The show advertised the game so well that a large number of people were willing to pay upfront to try it out, which is uncommon. As we can see, such a prominent feature in a leading series proves to be the ultimate advertisement. 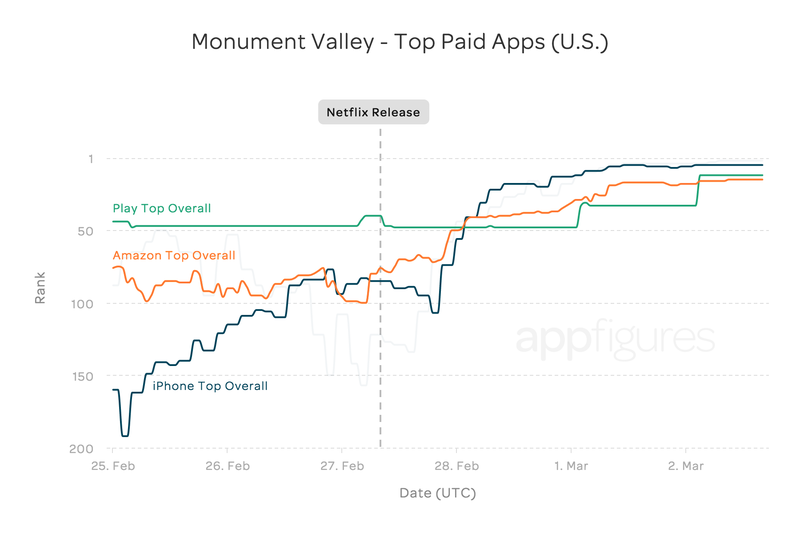 At this point, the effect is even greater than that we recently looked at for apps that purchased Super Bowl ads – without the large price tag! It would appear as though this is a much more receptive audience.